A huge number of South Africans rely on taxis and because of this, minibus taxi users dominate the market. That is according to the findings of a poll into public perceptions of taxi use, safety, crime and related violence. Earlier on Tuesday, the South African Institute of Race Relations (IRR), in conjunction with the Friedrich Naumann Foundation for Freedom (FNF), released the findings of the poll, which reported that 82% of all respondents relied on taxis to move from one point to the other. The full report is a special edition of the IRR’s Criterion Report – Home to the findings and insights drawn from market research conducted by the IRR into the preferences, attitudes and the nature of South African citizens. The poll was in the field in December 2018 and comprised a representative national sample of 1 237 respondents over the age of 18, with two supplementary sub-samples for KwaZulu-Natal (sample size: 409) and Gauteng (sample size: 505). A full description of the methodology can be found in the report. The findings are set out in four sections: Taxi Use, Road Safety, Taxi Safety and Taxi-Related Violence and Crime. The report is thus designed to give the reader an idea of how many people use taxis, what kind of taxis, and how; of public perceptions of road and taxi safety and of the degree to which taxi users have seen or experienced crime. A number of the findings are deeply concerning. 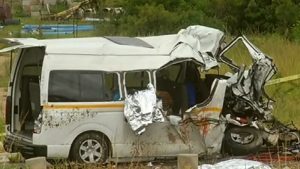 There are, however, profound concerns both about taxi-safety and crime, as well as the condition of South African roads. These and a great many other worrisome findings are contained in the report. A summary of the main findings below. The post Many South Africans rely on taxis for transport: Report appeared first on SABC News – Breaking news, special reports, world, business, sport coverage of all South African current events. Africa's news leader..